This 'drive-by' schematic and parts list for the Admiral Model 7C64 vacuum tube radio appeared in the February 1948 issue of Radio News magazine. I refer to it as 'drive-by' because there was no description or maintenance verbiage provided. You might not expect from the relatively simple circuit that the entire Model 7C64 was mounted in a multi-sectioned wooden cabinet that included a phonograph. 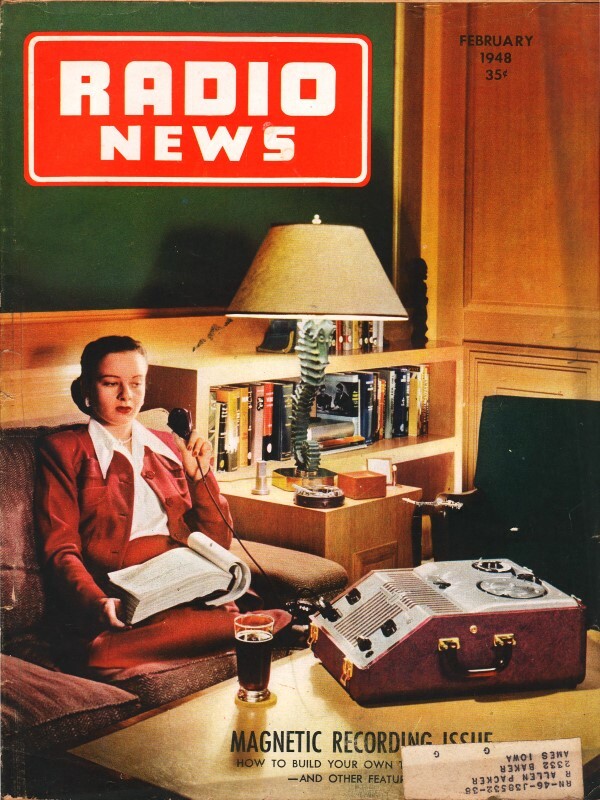 The thumbnail at the left is from the RadioMuseum.org website - a great source for research on vintage vacuum tube radios.